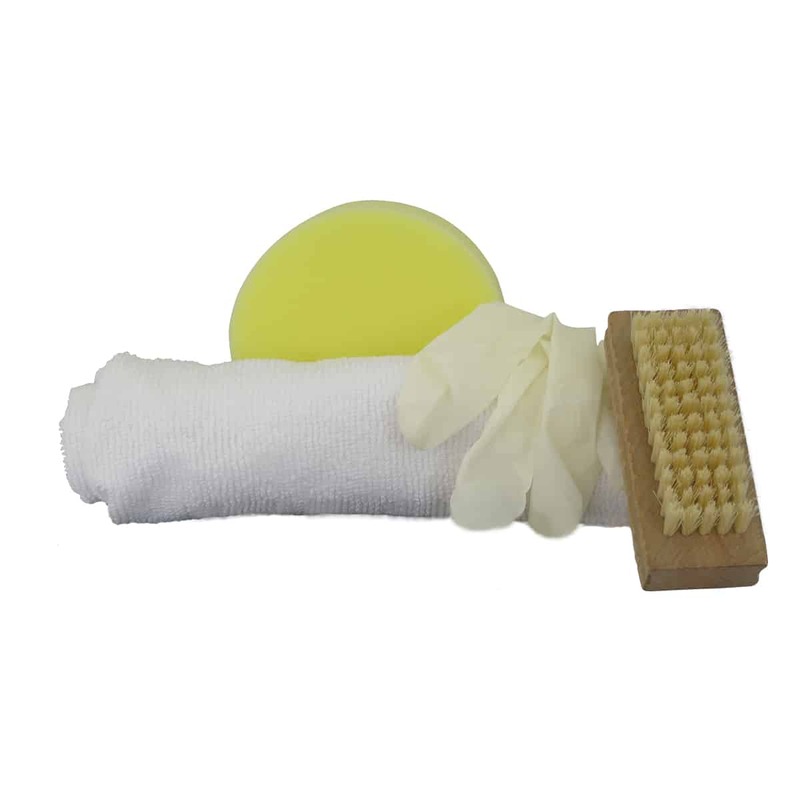 A specialist care kit for nubuck, suede and aniline leathers. Clean away dirt and grime and soften the appearance of stains. Add protective conditioning to help prevent drying and cracking, restore softness and resist stains. 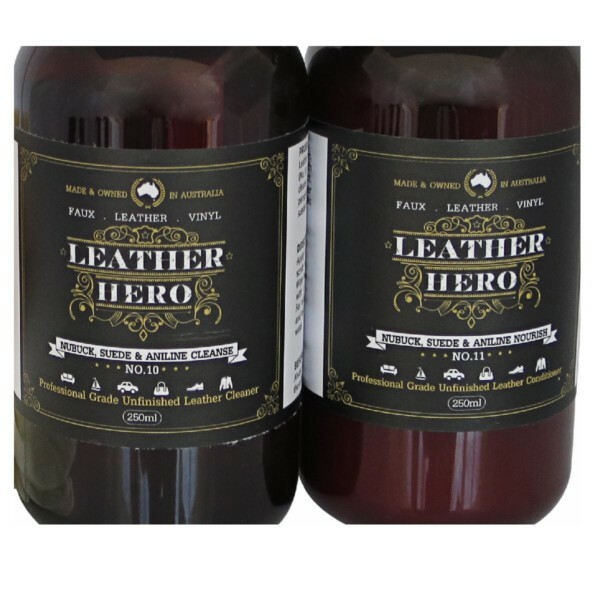 The light aniline leather cleaner is designed specifically for unfinished leather whilst the aniline leather conditioner gently softens whilst preserving the delicate and unique qualities of nubuck leather, suede leather and aniline leather. 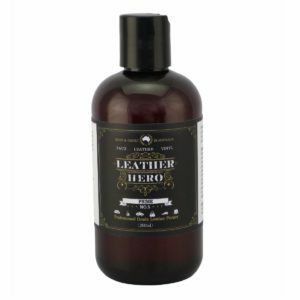 A protective conditioner for nubuck, suede and aniline leather. 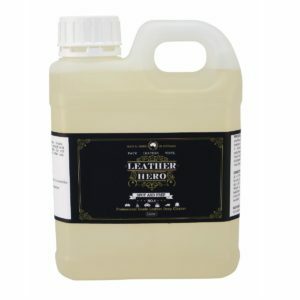 Helps to prevent drying and cracking, adds softness and helps to prevent stains. 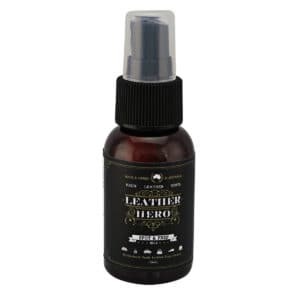 Restore the beauty of unfinished leathers with the Leather Hero Nubuck, Suede & Aniline Care Kit. 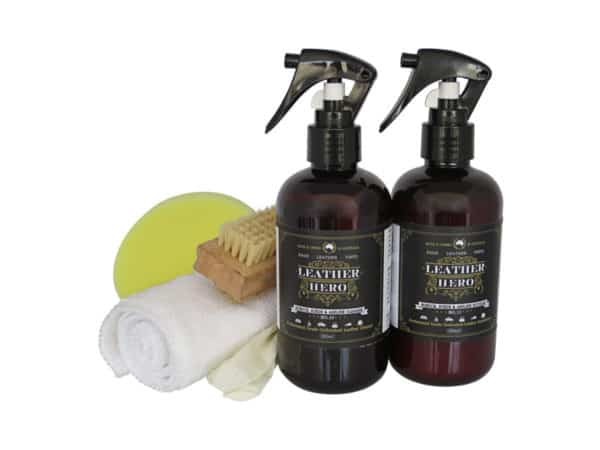 This professional grade, water-based combination gives you everything you need to clean and rejuvenate these special leathers. The gentle cleanser helps to soften the appearance of stains and removes dirt and grease whilst the protective conditioner helps to prevent drying and cracking, adds softness and helps to acts to minimise stains. Suitable for nubuck, suede & aniline. 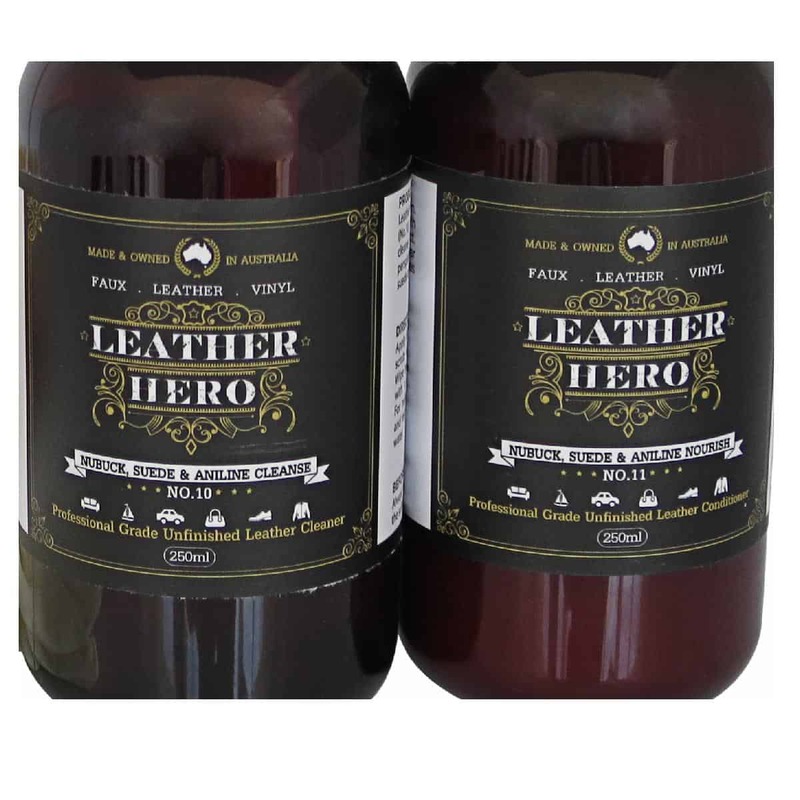 Also available in 250ml and 1L pack sizes sold separately. Included in the kit are 6 pieces.